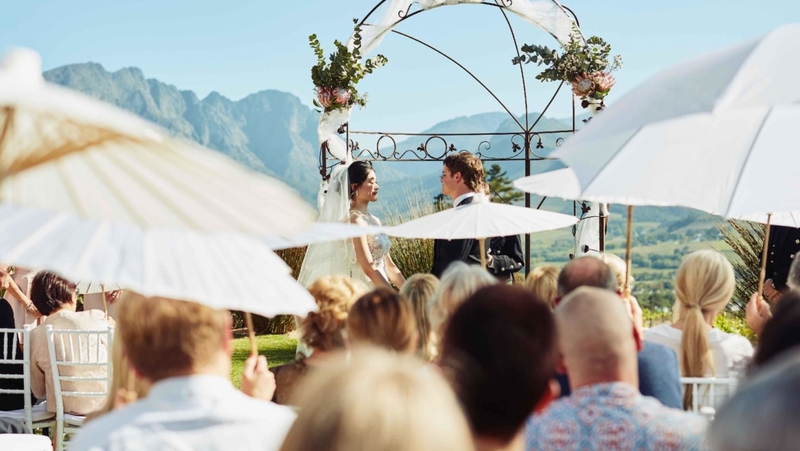 From beautiful antique churches to outside lawns boasting with views of the Franschhoek Wine Valley, our Franschhoek Venues have the most beautiful ceremony settings! The wedding reception is where the party’s at, but the wedding ceremony is where all the feels are. 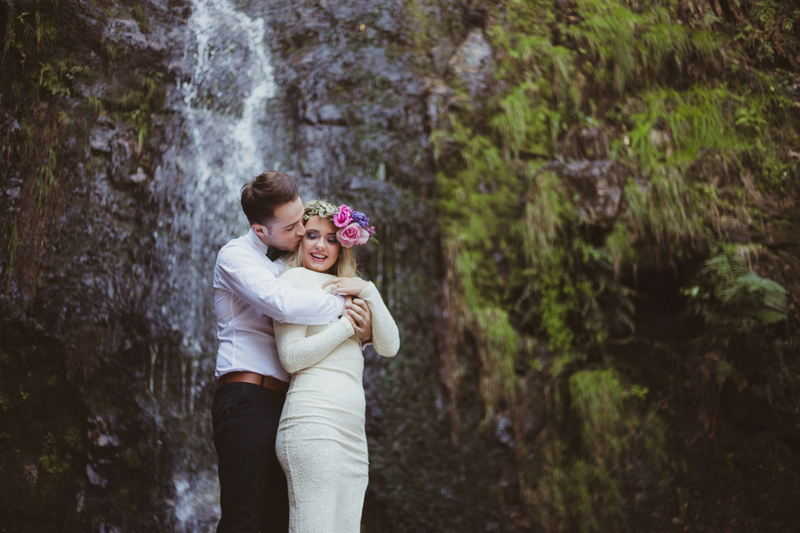 Wedding ceremony that complements you as a couple when you finally tie the knot are the ultimate! Your wedding ceremony will set the tone for the rest of the big day! It is a chance to WOW your guests with the unexpected and establish your wedding theme. 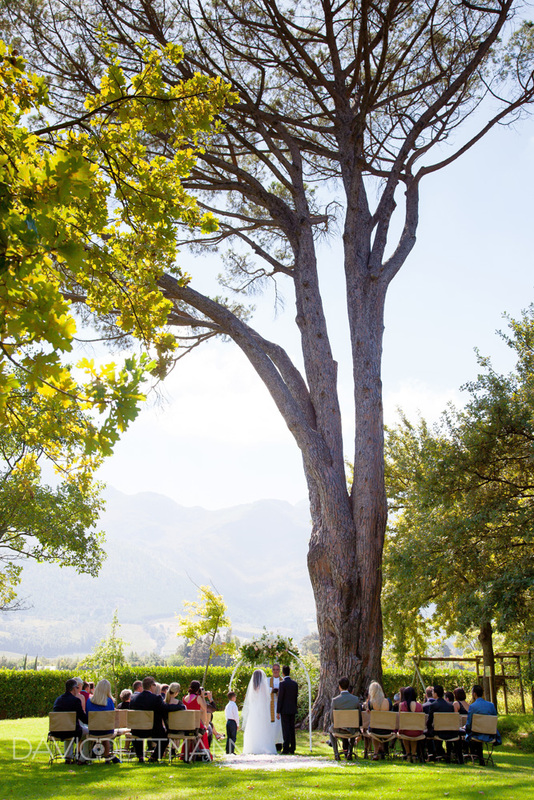 There are numerous venues to choose from on our list to say your ‘I do’s’, from barns, to vineyards! Get creative with the decor at your ceremony and style it according to the location or venue. If it is an indoor cellar with striking character, sometimes a minimalist touch is the best complement to let it shine! 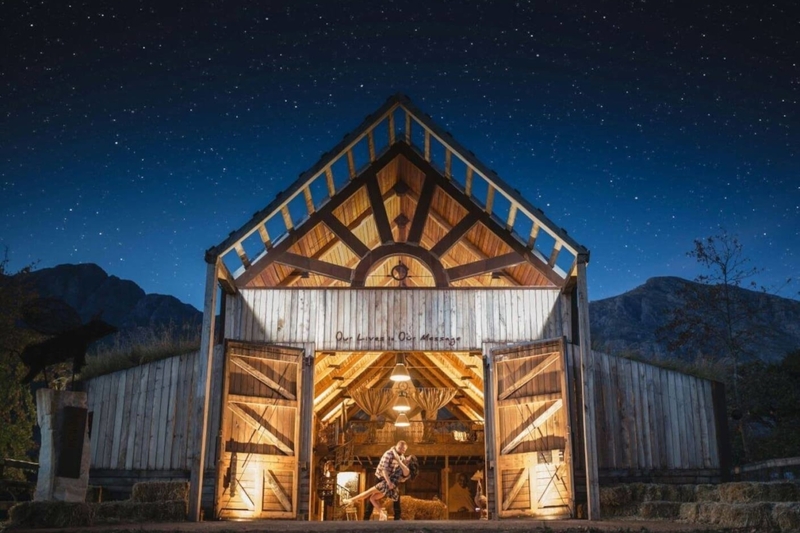 This beautiful barn is the most romantic spot! Turn the traditional bard wedding on its head by getting married outside instead of inside – the exterior is just as beautiful and calls for simple decor! 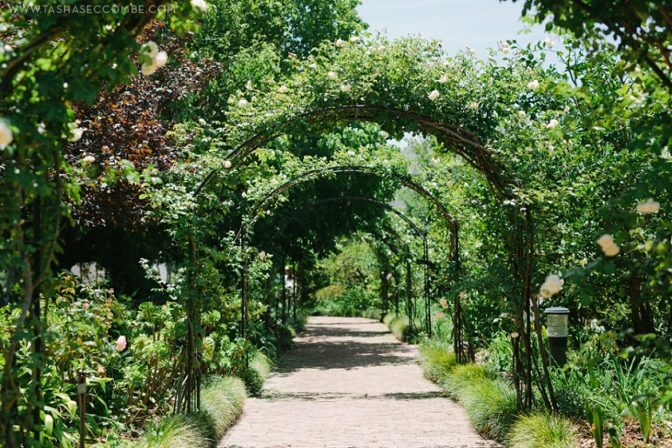 We gasped when we saw this spectacular arch created by the amazing Fleur Le Cordeur. A wow factor the this ceremony setup is all this dreamy location needs! 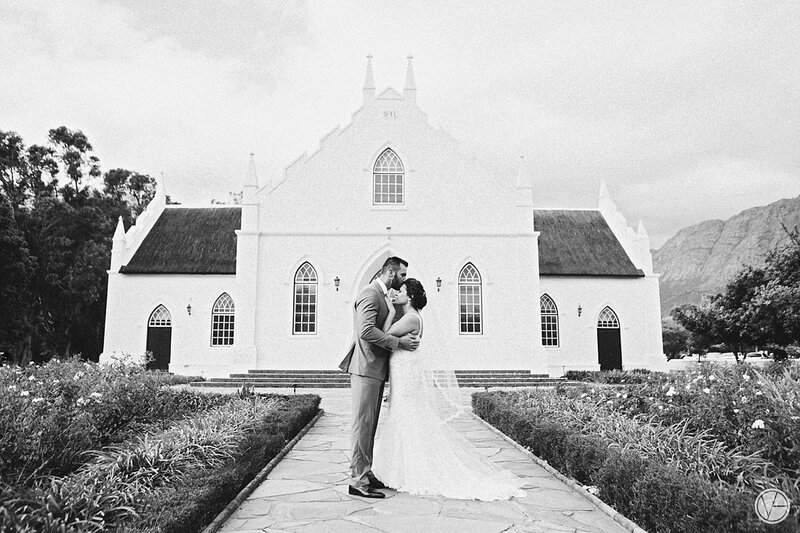 The NG Church in Franschhoek boasts with its exterior and interior beauty and stays a classic! 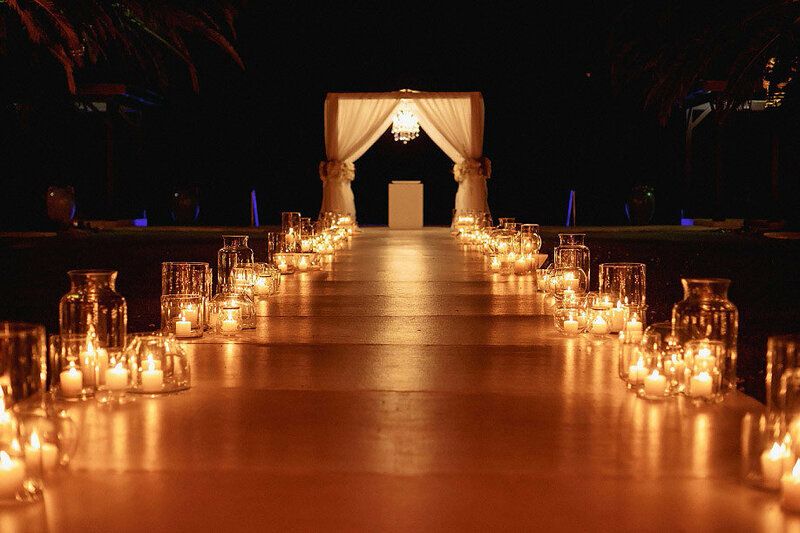 We’re feeling the ambient in this elegant wedding alit with a romantic glow thanks to candle aisle markers. 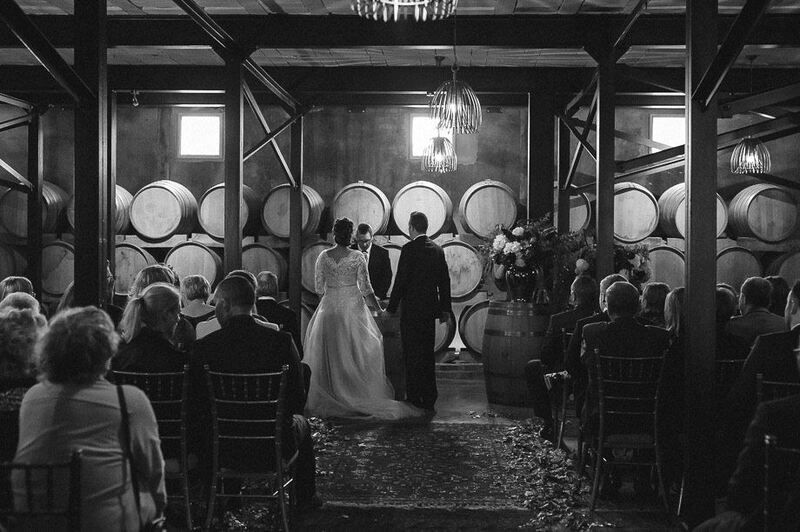 Moody romance with a hint of edge dominates this ceremony in the wine cellar at the Mountain View venue at Franschhoek Cellar. A graceful tall oak tree serves as a masterpiece of an alter, highlighted with romantic touches of sunlight gazing through the branches and leaves. Arches and arches of Garden and Gardens, no need for much floral decor here! Gorgeous much? We certainly think so. 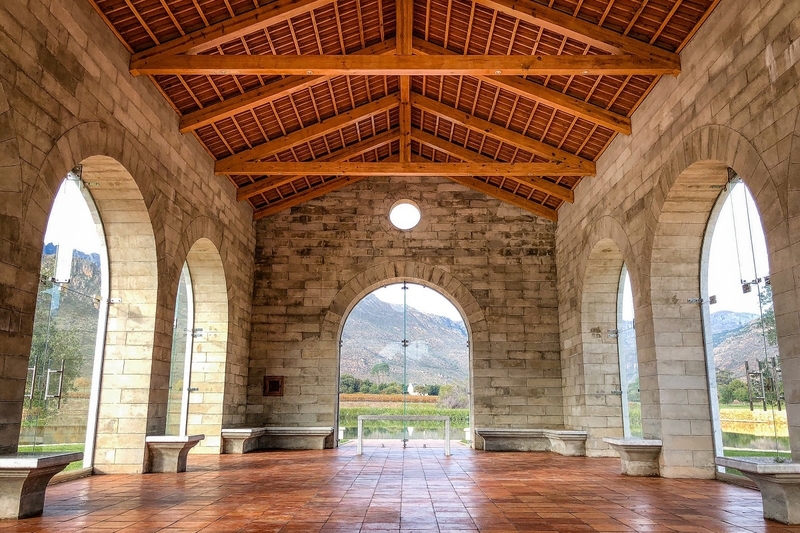 With intricate architectural detailing, the Franschhoek Hugenot museum certainly serves up a dose of sophistication and glamour! Can you believe these killer archways? 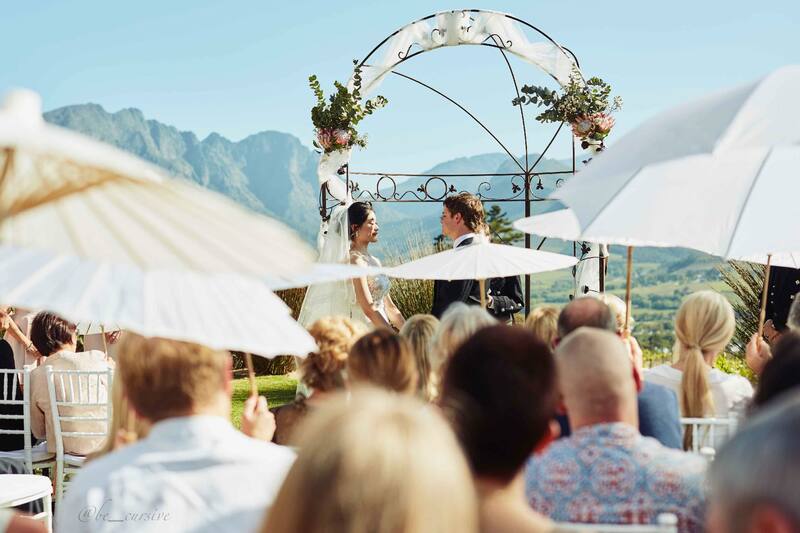 Perspective like this, backed by lush vegetation, creates one stunning ceremony location in Franschhoek. 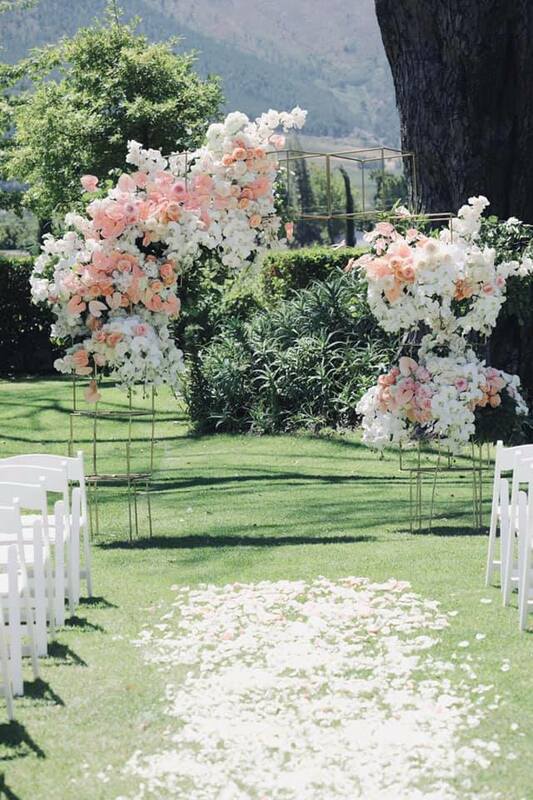 Simplistic, elegant and creative ceremony location. Just imagine the fountain blessing your wedding day through out the ceremony. 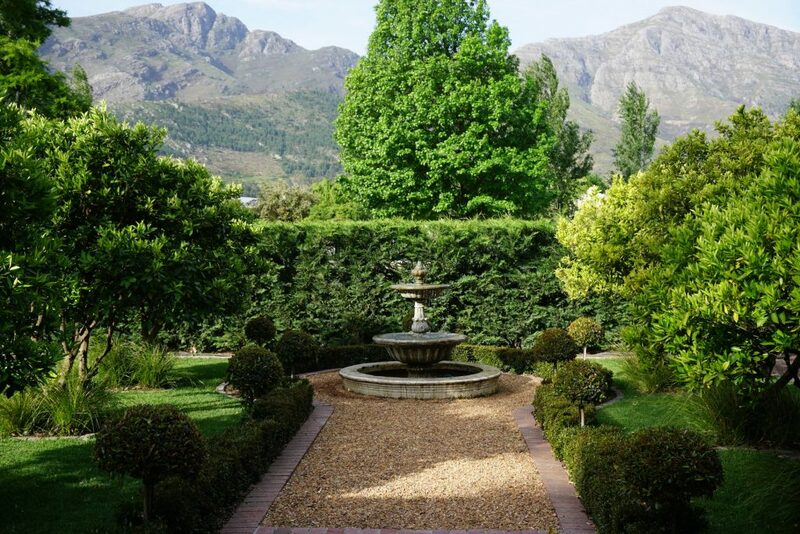 Interested in booking one of these amazing venues? 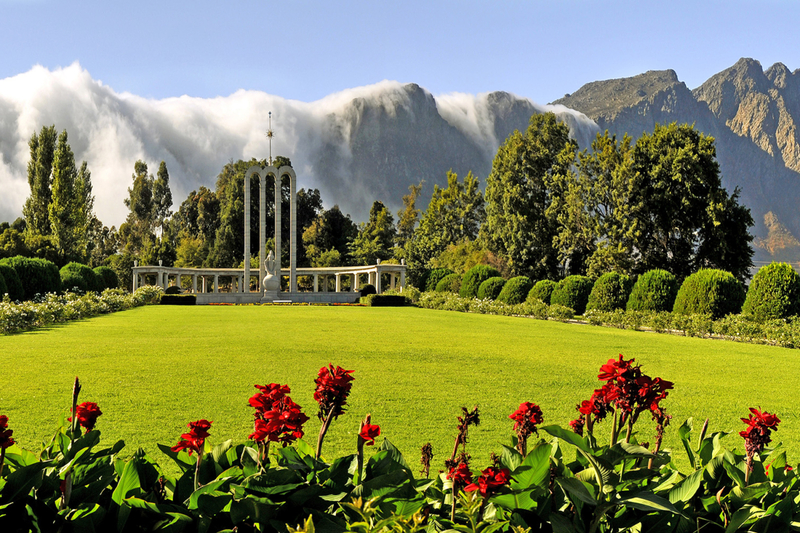 Visit our website www.franschhoekvenues.co.za to view our wide range of amazing venues and book directly with them! Need a coordinator, florist and assistance with hiring needs? Contact us for our packages.